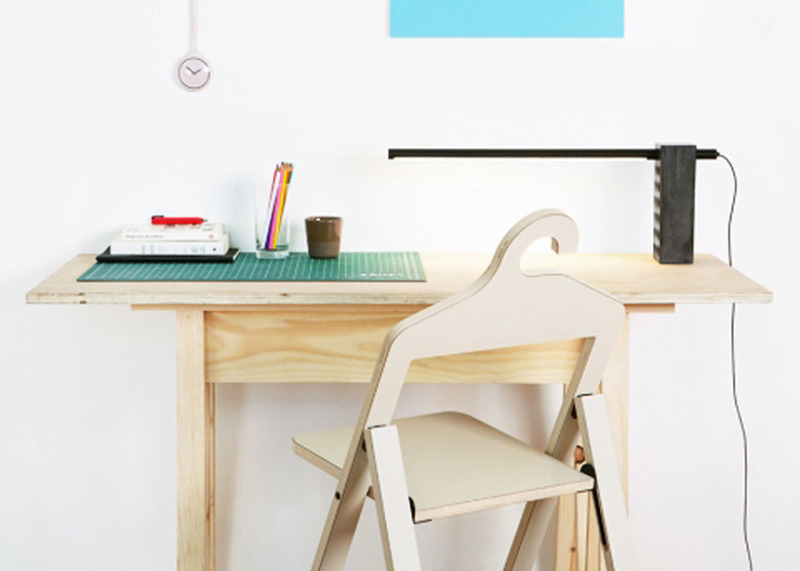 Philippe Malouin originally developed this idea while he was studying at the Dutch Design Academy Eindhoven and created a collection of space-saving objects. 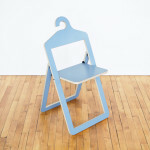 The hybrid seat is made from wood and comes in a variety of pastel colors including blue, soft yellow, amber orange, and grey. 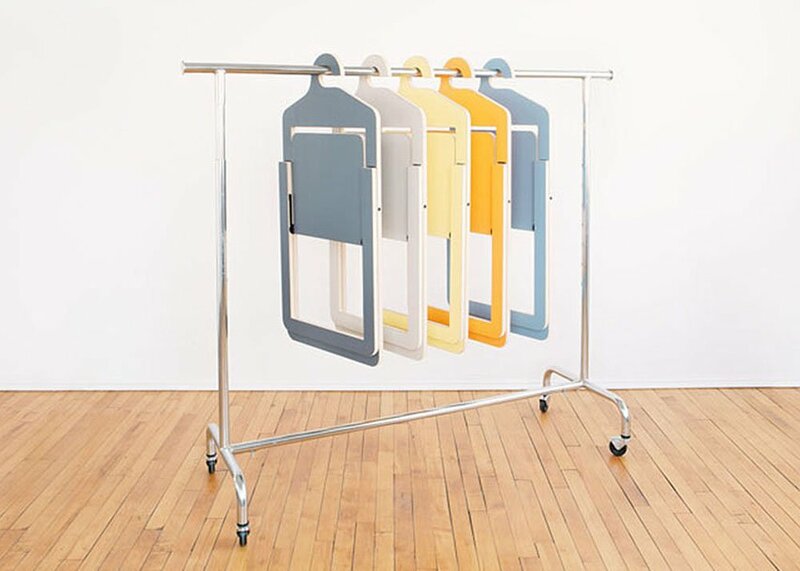 Launched during the last edition of New York’s bustling ICFF, the chairs are perfect for an unexpected gathering of friends at home and can be hung on the wall as well as in the closet. 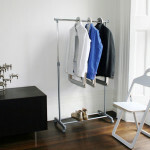 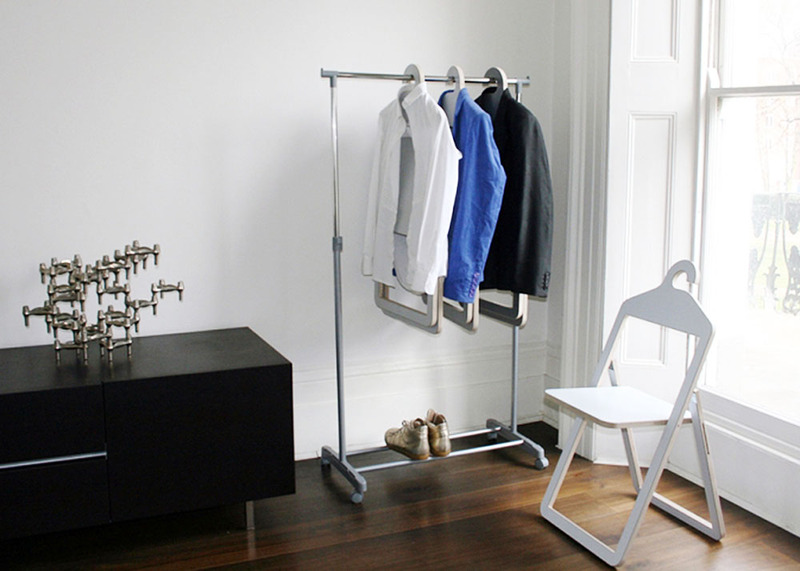 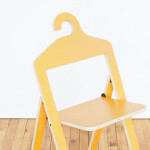 And if you run out of hangers, you can use the Hanger Chair to hold your belongings. This clever design is part of the Umbra Shift collection, an extension of Umbra, a Toronto-based store selling contemporary designs that rethink homewares. 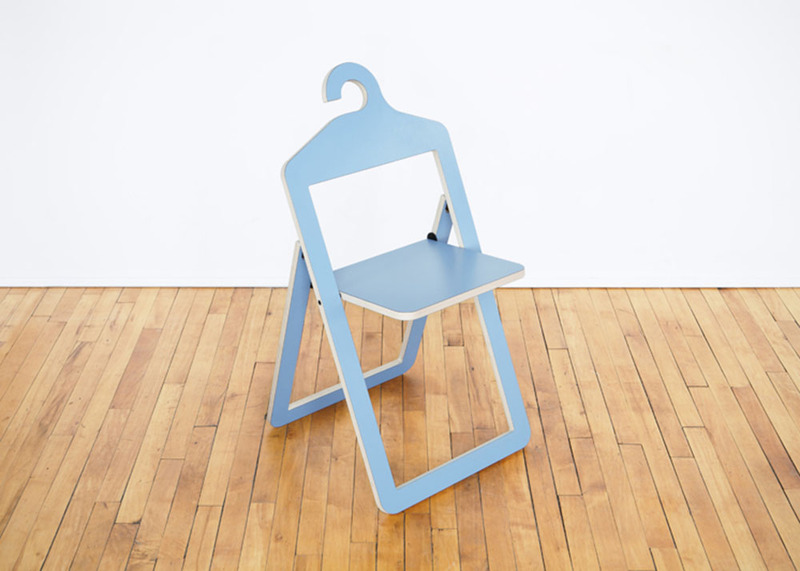 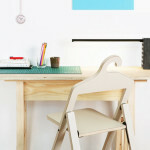 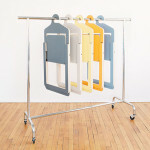 See more cleverly simple objects by Philippe Malouin here.